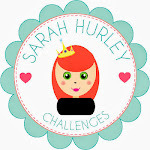 Nicole here again with another quick step by step on making a card using one of the Sarah Hurley Silhouette store shapes. 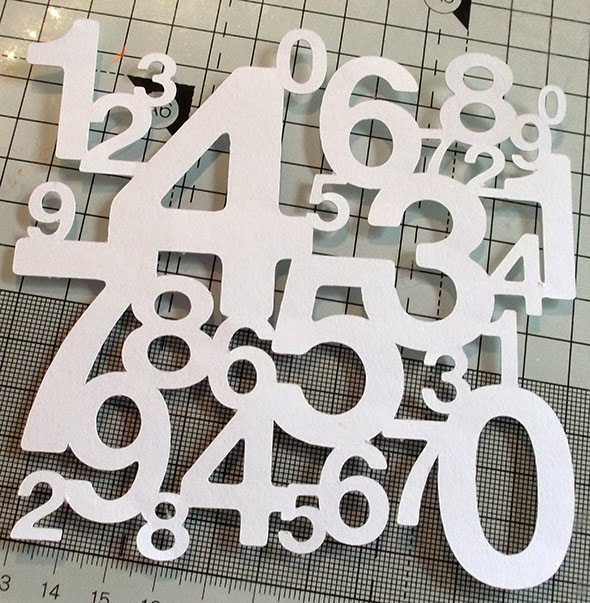 I started with the numbers cut out by Sarah Hurley in the Silhouette store. 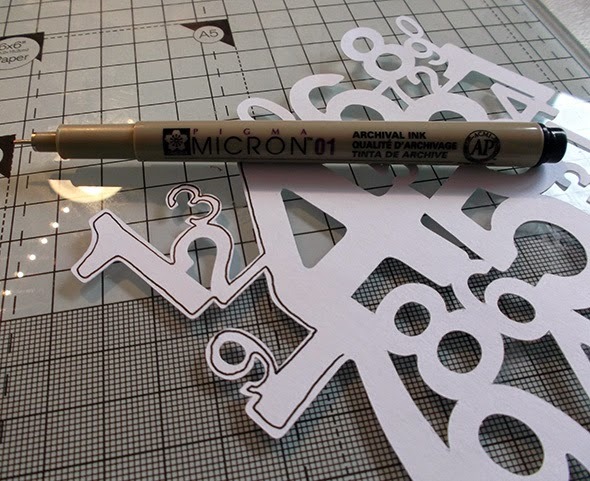 I took a fine tip black pen and doodled around the outline of the numbers. 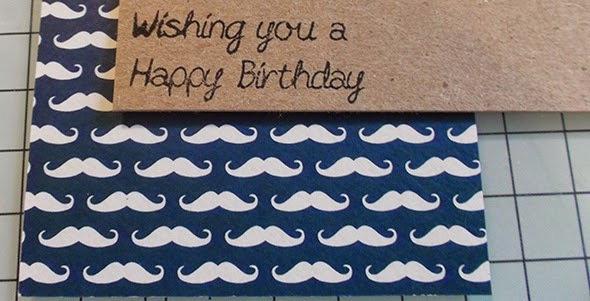 I used the really fun mustache paper on a kraft card base for the beginning of my card. 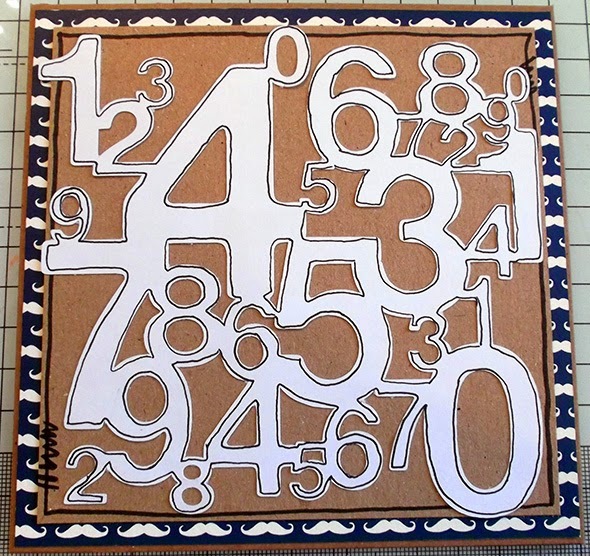 I needed the numbers on something a bit plainer so that they could stand out so I cut down a piece of kraft and doodled around the edge to add some interest. 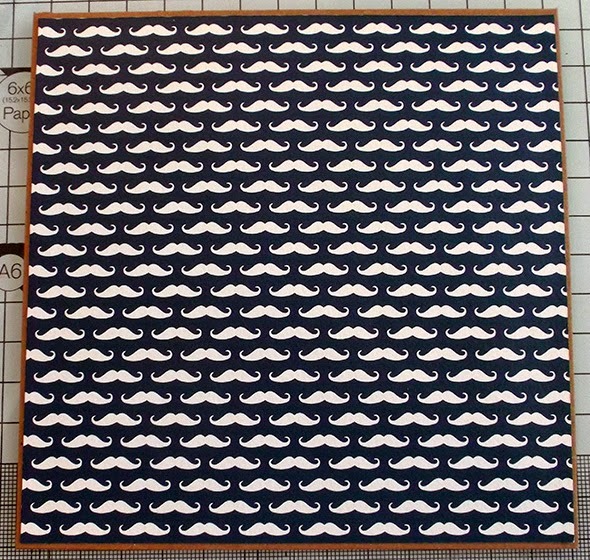 Here are the numbers layered over this all. 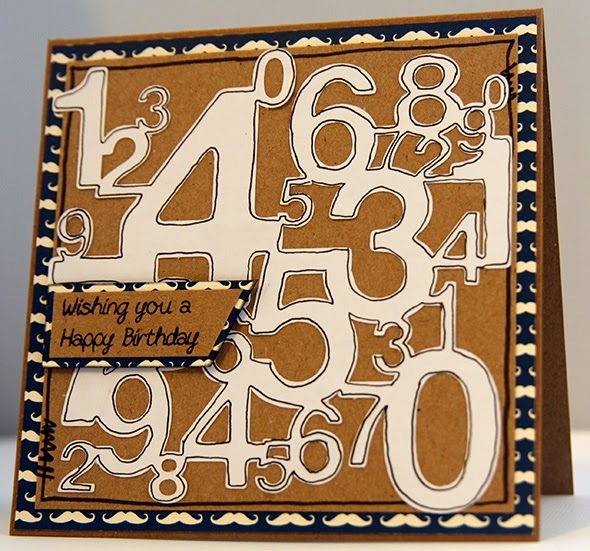 I used some of the scrap kraft and the scrap pattern paper to create a sentiment. I used the Sarah Hurley sentiments stamps for this. I love that set, there are so many brilliant stamps in it! 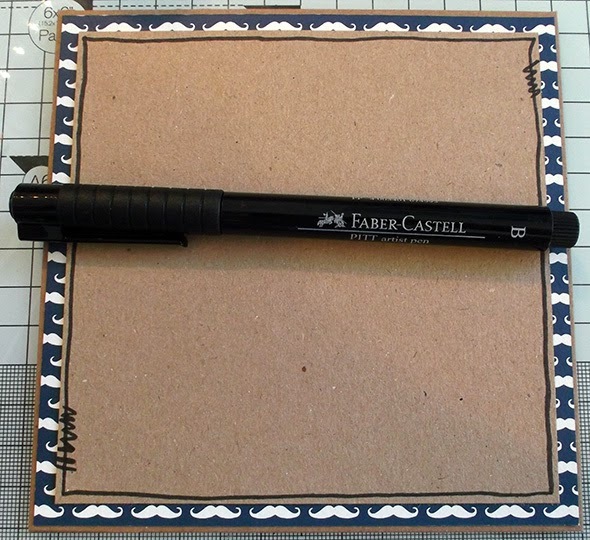 I added my sentiment on to the card on foam pads and called it done.